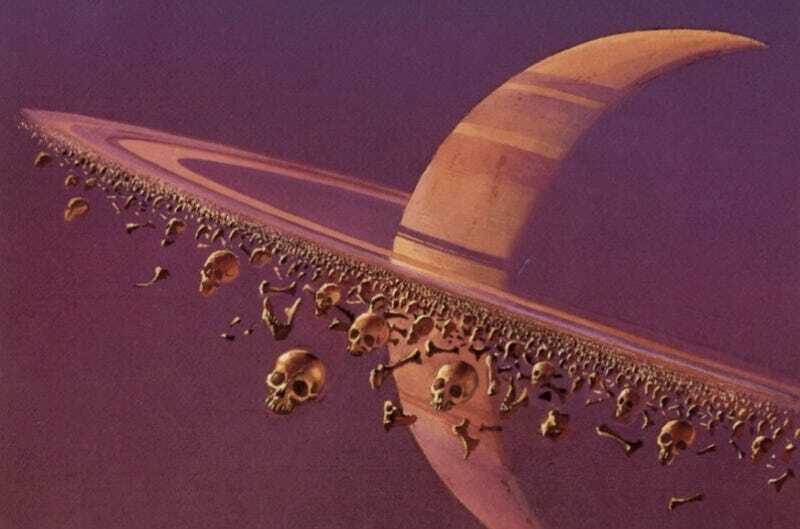 This week's spooky Concept Art Writing Prompt takes us into space, where a planet is ringed by thousands of dismembered skeletons. What stories take place in this planetary graveyard? This week, we're featuring an older piece by legendary science fiction and fantasy artist Bruce Pennington. As always, we invite you to write a story inspired by this piece of artwork and post it in the comments.